Consistency is key in the NFL. The Redskins, unfortunately, were consistent in all the wrong areas in 2009. They were consistently bad. And they consistently found new ways to lose. Sunday's loss to the Chargers was no different. And now that the Redskins' horrific season has been officially put out of its misery, Jim Zorn has been too. The Redskins fired Zorn sometime after the team arrived back from San Diego, a team source told News4's Lindsay Czarniak early Monday morning. The team confirmed the firing at about 7:45 a.m. Monday. 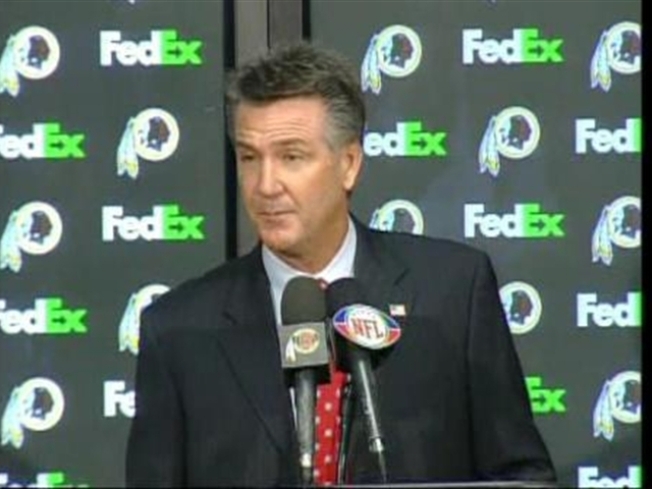 Zorn road back to the Redskins' facility with Redskins Executive Vice President/General Manager Bruce Allen and a team official early Sunday morning and was fired in his office, Czarniak reported. He cleaned out his office and was escorted from the facility by security. Allen said in a press release that his three-week game and preparation observations led to his decision to let Zorn go. Redskins remain optimistic following the firing of head coach Jim Zorn and a second-straight last-place season. "The status quo is not acceptable," Allen said in the release. "I felt it was necessary to not waste a moment of time to begin building this team into a winner." “This has been an extremely difficult season for our organization and for the fans. Bruce Allen spent many hours examining the football operations, and we are both determined to do whatever it takes to build a championship team. That process begins today. “No one in the organization is satisfied with our record over the last two years, and I am sure that Jim would concur with that statement. It has been painful for him too. I certainly accept responsibility for mistakes that I have made. I am hopeful that our fans will accept my commitment and pledge to deliver a franchise that can compete in the NFC East every season. "I just know that last place is not Redskins football," Allen said at a Monday afternoon press conference. "Last place two years in a row is not Redskins football." Zorn went 12-20 over two seasons, but he lost 18 of his past 24 games after a 6-2 start in 2008. Zorn said after Sunday's loss to the Bolts that he hadn’t been told he was being fired. to be forthright and ask and get things moving, but I certainly want to be the head coach here." 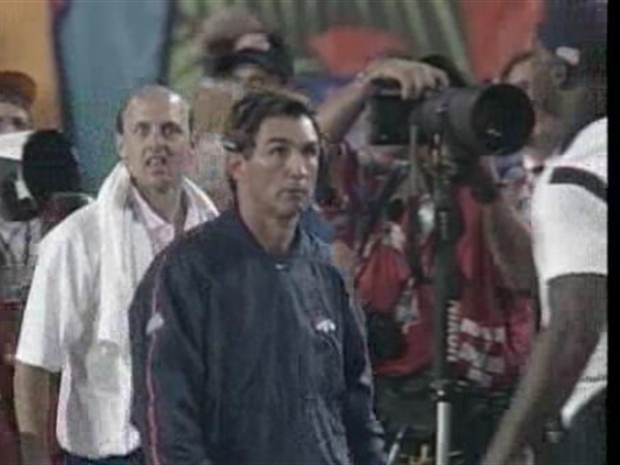 Allen would not comment on former Denver Broncos coach Mike Shanahan, who is considered the favorite to get the job. "We're in the process of talking to people," Allen said. "We have a good game plan of what we're going to do." Multiple sources said the team has been talking to Shanahan for months, Czarniak reported, and the team could soon announce Shanahan as the team's next head coach, if everything goes as the front office hopes. The figures five years and $7 million per have been rumored. That would make Shanahan the highest paid coach in the NFL. Shanahan was in the D.C. area Monday. Zorn’s replacement will be Washington’s seventh coach since Snyder bought the team in 1999. Playing a substantial part in the decision will be Allen, who was hired as the general manager last month. Zorn’s dismissal had been expected for months. The front office stripped him of his play-calling duties in late October, and Snyder has interviewed assistant coach Jerry Gray for the job, according to the Fritz Pollard Alliance, which monitors minority hiring in the NFL. "I don't know what to expect. Nobody does," Gray said after Sunday's game. "Bruce is going to evaluate everybody." Asked if he would like the job, Gray said: "Well, if it's open and they call me, of course I do." Allen offered no time table for the hiring of a new coach. "What we're looking for in a head coach is somebody who can lead these men that we had in our locker room this year to levels they haven't played to before, and what I ask from the players on the team is a commitment that they hadn't given before, and we're going to try to find that type of person, who is a winner, who is passionate about the Redskins and passionate about football," Allen said. 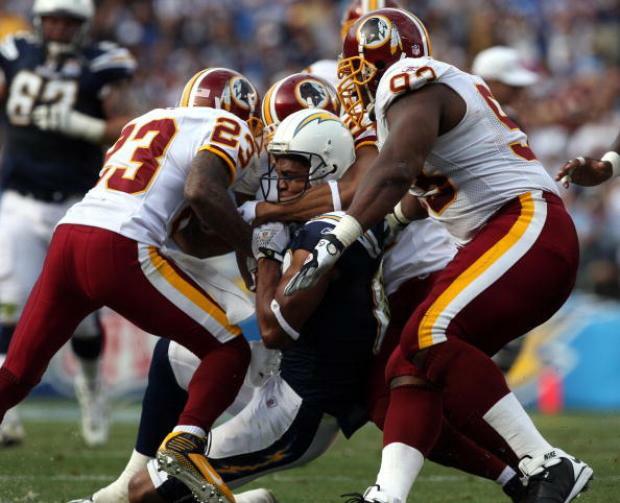 In Zorn's final game, the Skins actually looked like an NFL team against San Diego. However, they played most of the game against the Bolts' second- and third-teamers. Even with that advantage, Washington found another way to lose, finishing their season with a 4-12 record, their worst record since 1994. Billy Volek (yes, Billy Volek) gave his best Philip Rivers impersonation and led the Chargers on a 12-play, 58-yard drive with less than five minutes to go in the fourth quarter to win the game, 23-20. 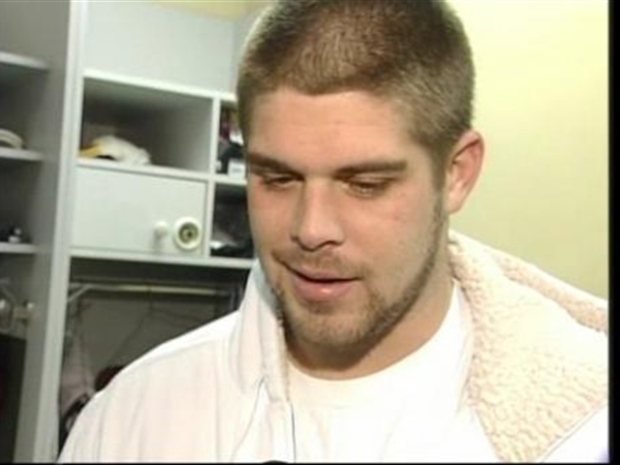 Even if the Redskins held on to win the game, it appears Snyder's mind was made up on hiring a new coach long ago. The Redskins failed to score more than 17 points in their first eight games, prompting the front office to bring longtime NFL assistant coach Sherm Lewis out of retirement as an offensive consultant and play-caller. Zorn wasn't even on Snyder's list of candidates when Joe Gibbs retired at the end of the 2007 season. Zorn became a last-minute option when other contenders either showed no interest, dropped out or were deemed unsatisfactory. Snyder initially hired Zorn to be the offensive coordinator, then promoted him to head coach two weeks later after an extensive interview. Zorn, who had never previously been a coordinator in the NFL, at times seemed overwhelmed by the head coaching job, but his strong start and quirky stories made him an early sensation last season. The front office soured on him in 2009, and executive vice president of football operations Vinny Cerrato announced in October that Zorn would finish the season after a week of internal discussions on the matter. Cerrato has since resigned and was essentially replaced by Allen. So it seems like the fans got their wish. Vinny is gone, and Zorn was close behind. But will the next leaders in Washington bring about the change needed to turn this franchise around? The new coach, Snyder and Allen will have a monumental task to rebuild a team with many roster deficiencies and major questions at offensive line, quarterback and running back.